KnowNow Information and PCSG’s Entelligently application helps organisations cut their energy bills while improving the comfort and productivity of their staff. This is how Entelligently evolved. How it works, its benefits and a final call to action! The key driver for a ‘smarter’ form of building management is the huge discrepancy between ‘as-designed’ and ‘in-use’ energy consumption. According to a National Energy Foundation survey targeted at facilities managers, 75 per cent of respondents stated that improving a building’s energy consumption was a top five organisation priority. Corporate reputation and attracting/retaining talent are other key drivers for change. Millennials want to work for an organisation that cares both for the people and for the environment. Allied with upcoming changes in building regulation and all demanding a more sustainable building. Coupled with these drivers are advances in technology at a price point that makes sense. It is possible to have lots of data, lots of compute resource and useful outcomes, without costing the earth. Supported by Innovate UK’s Energy Game Changer fund, KnowNow Information embarked on a joint project with PCSG, renowned experts in the sustainability of buildings. 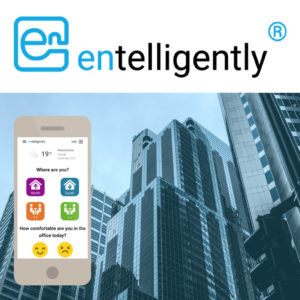 Entelligently was developed during a trial, seeking to optimise energy usage in buildings and minimise power bills. It simultaneously maximises the comfort of occupiers and hands them the power to control their environment and wellbeing at work. By blending the user-generated comfort data, along with real-time weather and sensor data, it predicts how to achieve the optimum comfort. Entelligently interacts with the occupant via a series of prompts which we call smart nudges. Most modern commercial buildings have a Building Management System (BMS). 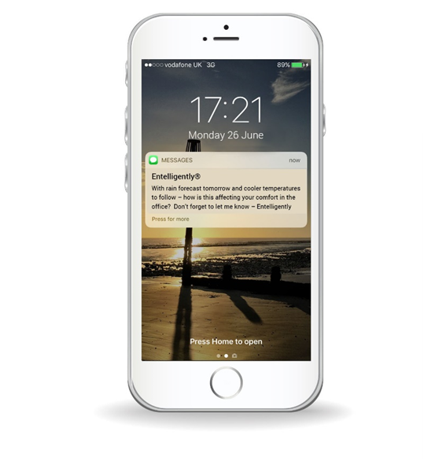 Entelligently is BMS agnostic and can be used as an external decision support service, providing information to a facilities manager or the BMS itself. Data collection is secure and uses MQTT & NodeRed to bring all the connections together into a Cloudant NoSQL database. The prediction engine uses IBM Watson Analytics. The web app is built with Google Polymer and is hosted on IBM Cloud. Real-time weather data is supplied by the Weather Company. For the trial, so as to benchmark the BMS data as well as capture CO2 levels, a further data feed from a Netatmo suite of sensors was used. This involved subscribing to the API and bringing this data in via NodeRed into the database. 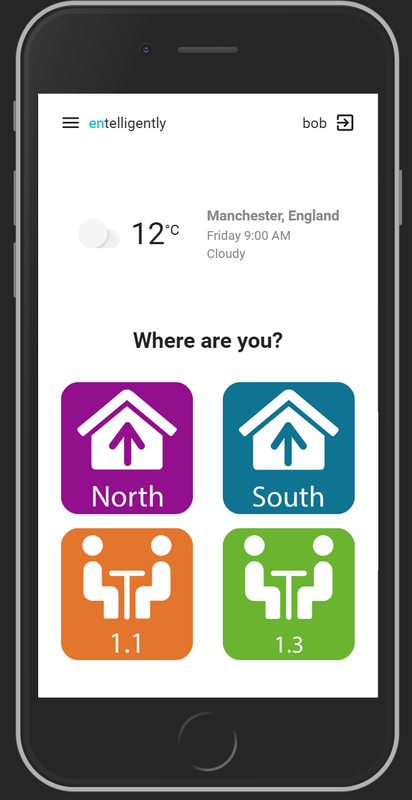 Office workers feed information into an easy-to-use app about their comfort levels – whether they feel hot, cold, sleepy etc. To encourage this feedback, they receive what we term ‘smart nudges’ or ‘snudges’. 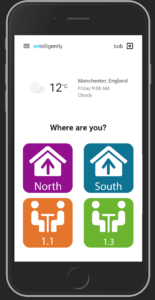 The snudge provides them with information about how they might feel, depending on the combination of environmental conditions, both now and in the future. It also suggests actions to take to avoid discomfort. The Entelligently homepage provides a snapshot of summary information giving an instant insight into how the building is performing as well as the user’s level of comfort compared to others who sit nearby. This can also engage and influence individuals who are outliers (i.e. expressing views contra to the prevailing trend) to take responsibility for their own comfort and wellbeing, rather than blaming someone else and complaining. The more data fed into Entelligently, the more ‘intelligent’ it becomes. The outcome: A more energy efficient building, lower energy bills and happier staff. Happier because they can influence and improve their own comfort and wellbeing whilst also doing their bit for the environment. During the trial both productivity and job satisfaction were demonstrated to improve. 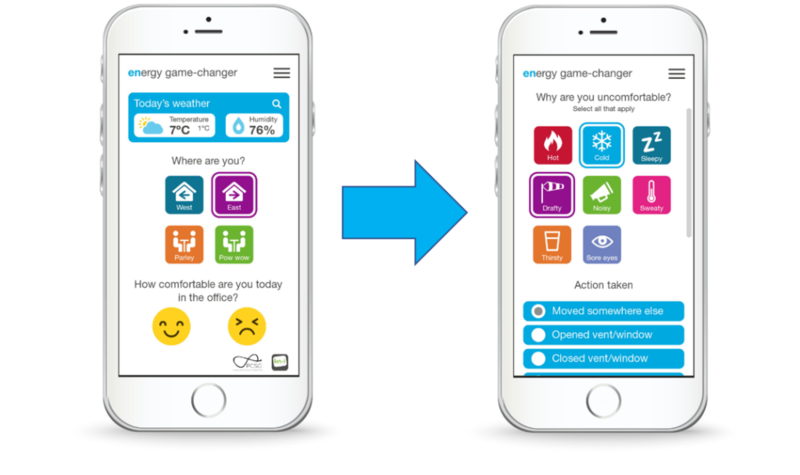 The wider ambition around this exciting project is to create a step-change in people’s perception of and behaviour towards energy. From a KnowNow perspective, it is important to respect citizens privacy. This means it is essential that informed consent is captured and data anonymisation is standard. To that end, Entelligently uses Consentua for consent management. The scalability of Entelligently is underpinned by the use of the IBM Cloud. The way the web server is designed means that each new customer has a common portal, albeit tailored to their location. A coming update allows Entelligently to be used as an API and be embedded in employee & HR platforms. The reasons for adopting Entelligently are compelling. On energy alone, research from PCSG shows savings of up to 20 per cent on total energy bills. There are also wider benefits, financial and social, to be gained from the improved employee productivity and feelings of satisfaction. When it comes to defining and measuring productivity in offices, a recent British Council for Offices report declared the value of lost productivity due to poor buildings to be on average between £1900 and £2200 per individual. 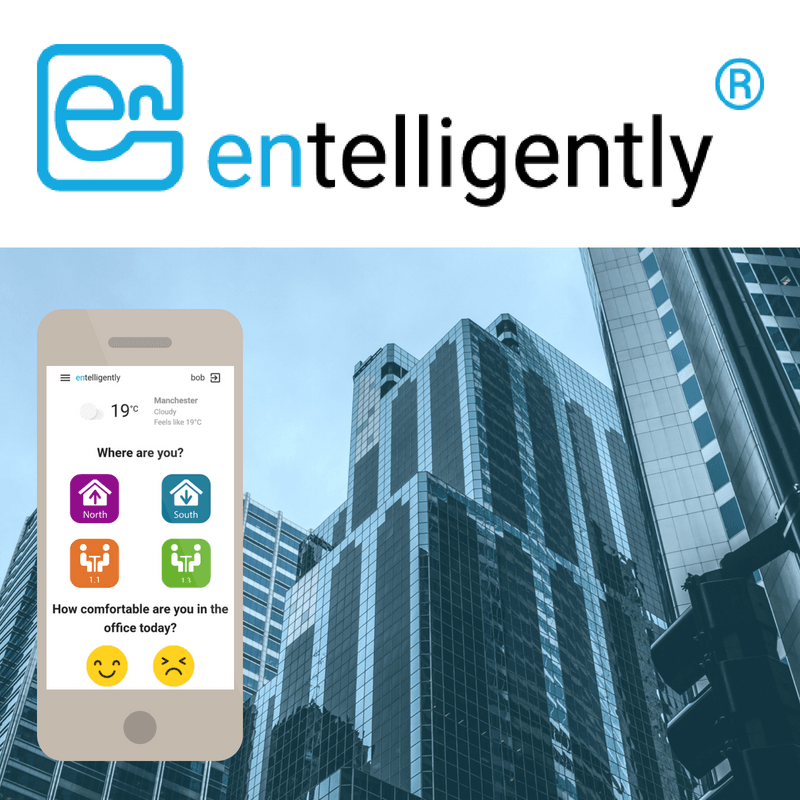 Entelligently is currently focused on office buildings but future updates will see functionality that will enable use in wider markets including shopping centres, hotels and universities. 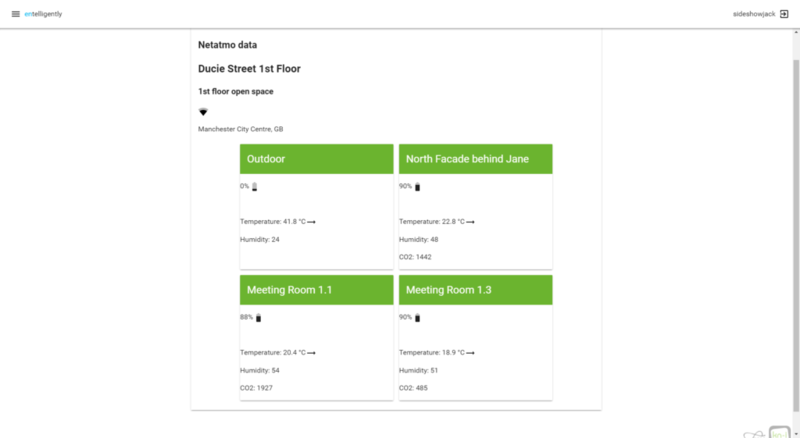 If you would like your building to be smarter and more productive, we are always happy to talk about how your building and company can enjoy the energy and performance benefits that the previous trials have realised.